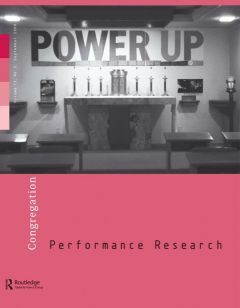 Congregation brings together writings about performance and religious practice – suggesting in its title a space in which voices gather. The question that Congregation asks is a simple one – how might looking at religion through the lens of performance, that is, through practice rather than belief, illuminate and better inform some of the ways we think about religion? At a time when religion has once again entered the public arena as a divisive and contentious subject, Congregation addresses the religious imagination – exploring how religious practice informs artistic practice. 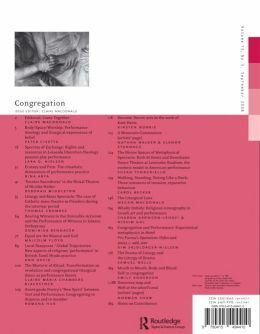 The issue covers a broad territory and many religious traditions, artistic and scholarly approaches, levels of engagement with religious practice and reflections on art, artists, pasts and futures.